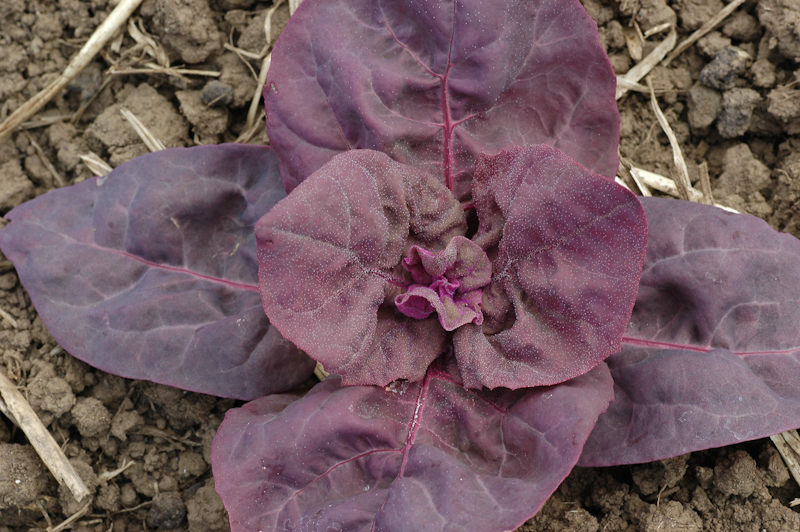 Our most purple kind, deeply savoyed and thick-leaved with a salty flavor that goes great in summer salads. 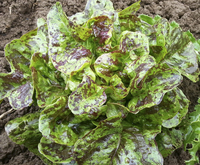 This species loves the heat, and keeps its color when other salad items are fading into pale. Farm Original Variety! OSSI (Open Source Seed Initiative) Pledged Variety.